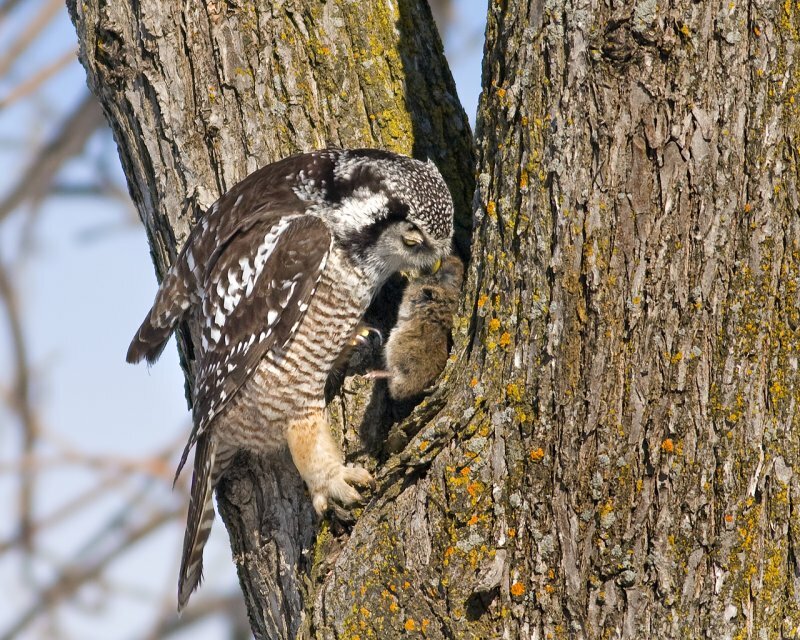 Northern Hawk Owl storing prey for later consumption. In times of plenty, Owls may store surplus food in a cache. This may be in the nest, or tree hole, or a fork in a branch. Image © Rachel Bilodeau.